[SatNews] The U.S.A.F. / Air Force Space Command's Team Vandenberg is scheduled to launch a NASA satellite on a United Launch Alliance rocket from Space Launch Complex-2 from Vandenberg AFB on Tuesday, July 1st, at 2:56 a.m., PST. The Delta II rocket will carry NASA's Orbiting Carbon Observatory-2; the second of NASA's five Earth science missions to launch in 2014. Col. Keith Balts, 30th Space Wing commander, will be the launch decision authority. "A launch like this takes dedication and teamwork," he said. "I am proud of this launch team and our partnership with NASA. Everyone involved has been working tirelessly to ensure this launch is a safe and successful one." OCO-2 is NASA's first mission dedicated to studying atmospheric carbon dioxide, the leading human- produced greenhouse gas driving changes in Earth's climate. OCO-2 will provide a new tool for understanding the human and natural sources of carbon dioxide emissions and the natural "sinks" that absorb carbon dioxide and help control its buildup. The observatory will measure the global geographic distribution of these sources and sinks and study their changes over time. 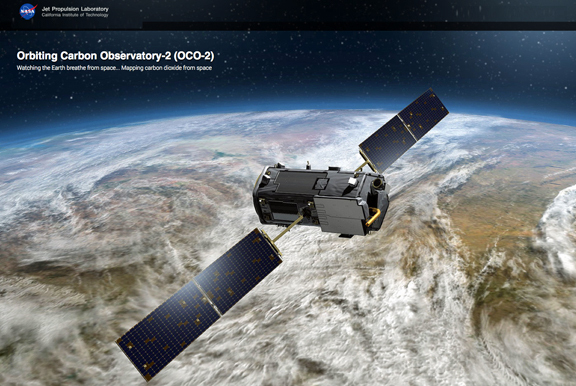 For more information about the OCO-2 mission, please visit http://oco.jpl.nasa.gov/.